To attract the tablet lovers in India, Lenovo has launched it’s android budget tablet, the all new Lenovo Tab 2 A7-10 tablet priced at Rs 4,999 through online retailer Snapdeal in Ebony Black which launched at CES 2015 along with Lenovo Tab 2 A7-30. It will lock horn with Xiaomi, Samsung and Micromax in India. The all new Lenovo Tab 2 A7-10 comes with a 7-inch display with resolution(1024x600p)and pixel density of 170ppi perfect for web browsing, watching movies, reading e-books and playing games . Lenovo Tab 2 A7-10 run on Android 4.4 KitKat OS (upgradable to Android 5.0 Lollipop) which allows you to enjoy millions of apps from google play store and powerful 1.3GHz quad-core MediaTek MT8127 processor with 1GB RAM creates superior gaming environment and allows to run your apps smoothly While 8GB internal memory and 32GB expandable memory allows you to store your favurite movies, songs, games and apps. surprisingly Lenovo Tab 2 A7-10 has no rear camera for shooting and only offers 0.3-MP front camera with Dolby sound technology for video calling and also missing voice calling facility. 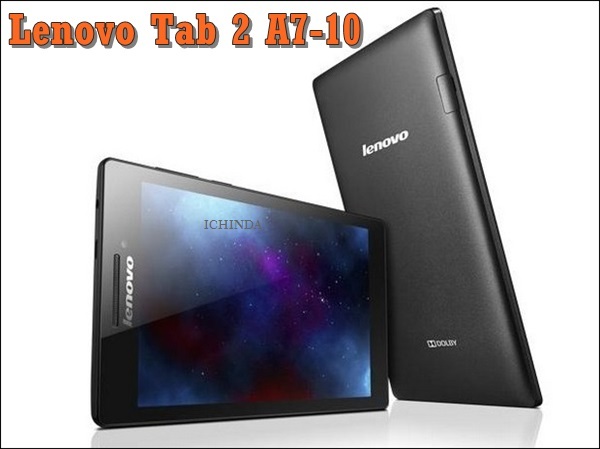 Lenovo Tab 2 A7-10 never let you down either you are playing games, browsing or watching movies because it’s powered by a powerful 3450mAh battery promising Playback Time up to 8 hours and Standby Time 200 hours. It measures 189x105x9.3mm and weight is just 269 gm including Wi-fi, Bluetooth, USB, GPS and FM Radio. At last few honest word, Lenovo Tab 2 A7-10 is the best budget tablet in Indian market but missing rear camera and voice calling facility fading it’s charm. What you think? Please be open to give your view.